It’s that time of year again. 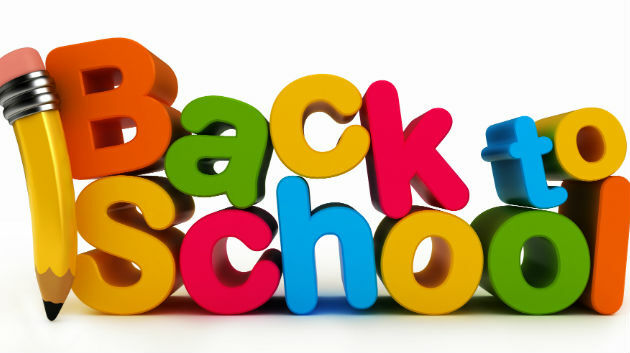 Kids and teachers are getting ready for another year of learning and growing together. The nervousness mingles with the excitement. The Society of Children’s Book Writers and Illustrators has a fun little writing prompt for this month: In 50 words or less, give us a first impression of your character’s new teacher. And so I present to you, a 47 word story. Enjoy! A nervous hiccup escaped my lips. A second hiccup erupted followed by a warm blast of shame. Her red painted claw pointed at me. 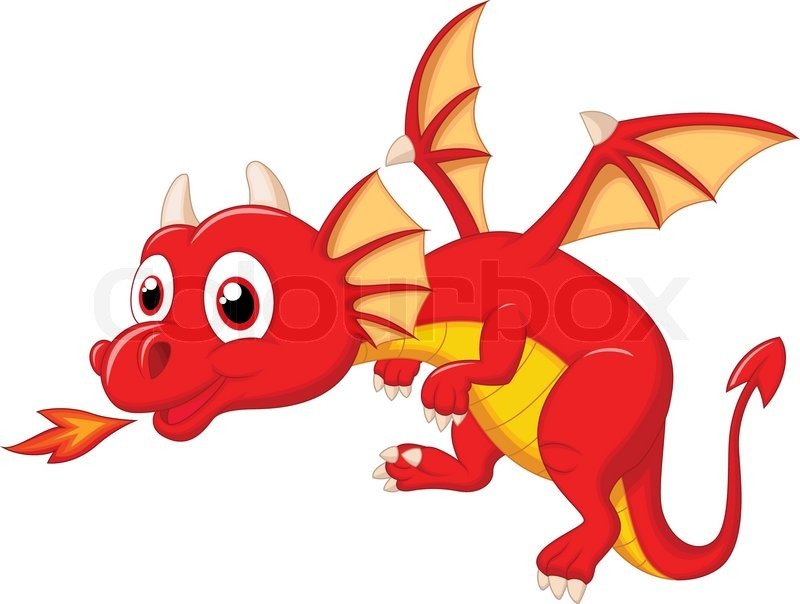 The third hiccup exploded in flames. 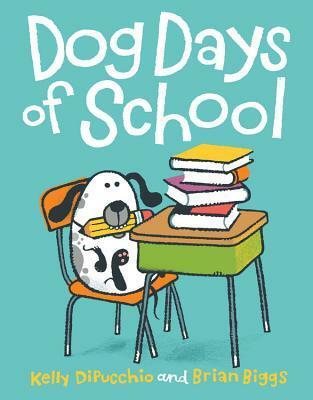 Tags: back to school, SCBWI, Write This! It’s back to school time for Clark the Shark, and he’s super excited. Clark LOVES school. In his own words, ‘SCHOOL IS AWESOME!’ ‘LUNCHTIME IS SWEEEET!’ and ‘RECESS ROCKS!’ The problem is that Clark loves everything way too much. He’s too loud, too wild, and just too much for the other fish to handle. Luckily for him, Clark’s teacher, Mrs. Inkydink is there to help him remember the rules. Clark gets a big idea… ‘Maybe if I make a rhyme, I’ll remember every time!’ So Clark reminds himself with his own rhymes, ‘When teacher’s talking, don’t go walking.’ ‘Only munch your own lunch’ and ‘Easy does it, that’s the way. Then my friends will let me play.’ Clark has learned how to get along with everyone and still have fun. Now it’s time to teach the new kid, Sid the Squid, how to get along. 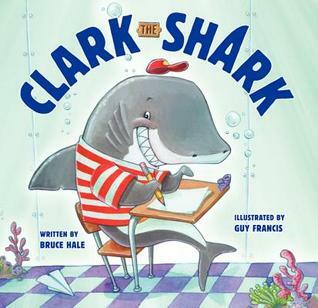 Bruce Hale has written a series of Clark the Shark books in addition to his other works. He gets into the heart of a young child with loud and sometimes rude antics of a fun-loving fish who just happens to be over-the-top, but who really just wants to be accepted. Guy Francis takes is deep into the waters of Clark’s world with details of the ocean incorporated into the human-like settings of Clark’s home and school. Reader can immediately identify with the underwater playground, the submarine school bus, the kale salad, and the sea slug ice cream. My favorite character has to be Mrs. Inkydink. Bruce and Guy must have known that teachers must have eight arms to educate, protect, and handle all their students. I love how Mrs. Inkydink can grade papers, write on the board, and hug her students all at the same time! 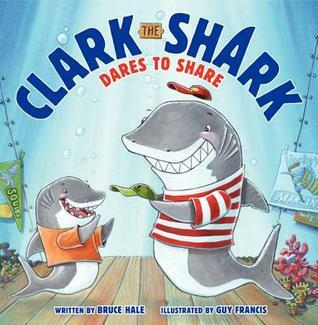 In the second book in the series, Clark the Shark Dares to Share, Bruce Hale and Guy Francis take their readers on another learning adventure for Clark. It’s Show and Share day at school, but Clark doesn’t get the concept of sharing. Sharing is complicated, but Clark finally understands and shares a ‘home-baked krill cake and a great big shark apology’ with his friends. The next installment in the series is due at the end of this year. 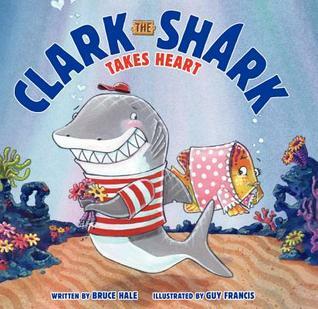 Look for Clark the Shark Takes Heart in December, 2014. Babies are Lazy Little Loafers. They don’t work. They spend all day playing and lying about. They get away with this because they are so cute. 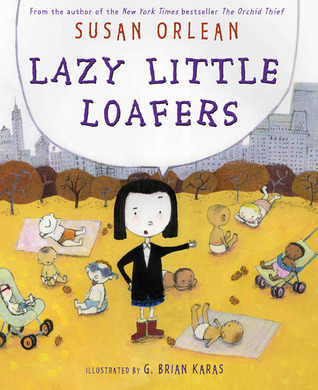 While the narrator ponders the question of what babies do while she (and the rest of the kids her age) take tests, give book reports, and figure out tough math questions, she notices that all the babies in Central Park are waving at dogs, snacking, and hanging out with their friends. Just as she arrives at school, she realizes why babies don’t work…they’re too smart! Susan Orlean tells the story like a true New Yorker. She doesn’t talk down to the reader and she includes the reader by identifying with their plight and dropping little bits of sarcastic humor in the monologue. G. Brian Karas depicts the city streets and parks of New York with details like Broadway-like signs, black clothing, crowds, doormen, and sidewalk cafes. I like the narrator’s voice, a little mature for her age, leaving me wondering if all New York school kids are so sophisticated. And I loved the humor in the artwork. I especially liked the last illustration… the narrator enters the school building and realizes that babies are too smart for school when a baby passing by in a stroller sticks out his tongue at her, showing the reader that babies really do know what they’re doing! With the setting in early September and the narrator bemoaning her school work while she obviously would rather be hanging out in the park, this would make an excellent back-to-school choice for parents, teachers, and students. Charlie is tired of going to school. One night he sees a star and wishes he was a dog… And in the morning, he realized his wish came true! His dog, Norman goes to school in his place while he stays home and naps and watching the leaves fall and generally has a great day. As the week progresses, Norman gets to make clay sculptures, have birthday cupcakes, paint, go on field trips, learn to play the maracas, and build a house out of blocks. Charlie has dry biscuits, drinks out of the toilet, gets chased by a skunk, has to go to the groomer’s, and gets locked up in the laundry room when he digs in the garden. Charlie realizes this is not such a great idea after all, but when he tries to tell his parents, they only hear ”WOOF! WOOF! WOOF!’ and they send him outside in the cold. That night he sees another star and makes another wish… and in the morning he’s back in his own bed and Norman is sleeping on the floor. Kelly DiPucchio tells a funny story about switching places, something I bet many kids wish they could do from time to time. She really captures the joys and downfalls of a dog’s life and a boy’s life. Brian Biggs has the fun job of bringing Charlie and Norman to life on the pages of the picture book. His expressions are both charming and silly, exactly perfect for a children’s book. I love the story as it’s written, but I also love the story as it’s drawn with details not given in the text. This is the type of book any kid would want to read… especially a kid like me!